Thank you so much for sharing your story. Sending positive vibes and strong energy from our house to yours. wow! A very powerful blog….. and so much of it is what we are experiencing with our son 11 now. Our only hope right now is MM…… a very very high dose of CBD has him calmer, more organized, less aggressive, not living as much in fight or flight. But by no means is he functioning well- it’s all relative- compared to this summer of his literally spinning and lashing out at everything and everyone- it’s better- and he laughs and smiles more. All the traditional meds either didn’t work or caused way too many side effects…… children like ours have a very fragile system- and seems no one really understands there depth of complexities! Thank you for sharing……. I still have a hard time believing there are other families that experience what our family lives with ….. so glad I have found others who understand…….. I look forward to hearing more on adrenaline therapy (it seems to fit my son- he lives in fight or flight- and so rarely moves out of his brainstem into higher thinking in his brain- … definitely will follow !!!! Oh, I wish I had something helpful to share! Thank goodness for doctors like Dr. Ankenman – if the adrenaline blocker can’t help Jonah, I hope he will be able to be a resource for you nonetheless and offer other options. Amy, Thank you so much for sharing this. I have been definitely holding my ear to the ground regarding Thorazine. We are unable to try any adrenaline blocking treatments because of blood pressure plummeting on even the lowest dose of Clonidine. I hope so much you find help for your precious boy, and finally some peace in your momma heart. I too have a son with aggression. It was so bad I had to call the police to calm him down. He was beating me up and tearing the house down. It broke my heart because he’s only twelve. It got so bad we were going to put him in the NBU at Kennedy Kreiger for three months. He attacks me the most, I’ve also lost chunks of hair from him pulling it out. 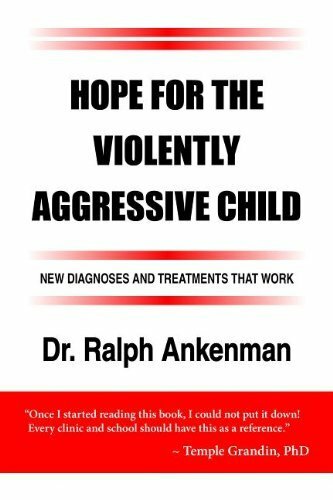 He’s attends a school for kids with severe behaviors and is doing well. Fast forward six months later he’s doing very well. Very few aggressive behaviors as of present. His great change is due to Zoloft ( pill form) and Intuniv twice daily. We see remarkable results! His compulsion has lessened immensely. He thinks before he strikes. The only aggression we see if my husband and I have an argument then he’ll start throwing things because he can’t take aggressive behaviors in others ( go figure). I know you’ve done the Medication route and I know how frustrating it can be. Plenty of trial and error. It’s getting that right combination that does the trick. Because sometimes it takes more than one drug for results. My son was born with aggression. He would hit kids when he was only eighteen months old. 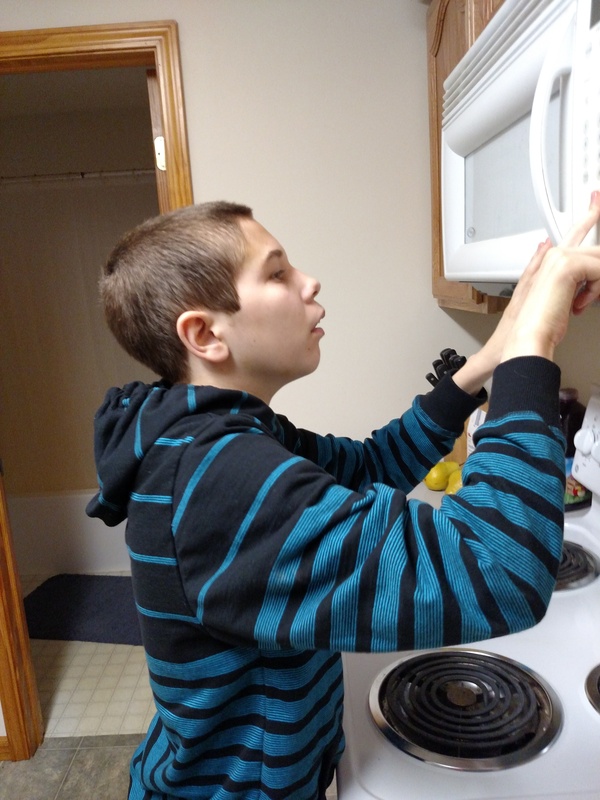 He’s moderate autistic, non verbal and has fine motor difficulties. I believe we belong to the same support group on-line. Thank goodness for that group. It helps me immensely. I hope you get a solution and that your son gets all the help he needs to calm him. I know what you’re going through. The doctor sounds very promising, Hugs and I wish the best care for your son. Sending positive healing vibes your way. You are certainly doing everything right. I would only underscore your wisdom about the possibility of the other drugs altering what would be his normal resting blood pressure and heart rate. It’s not possible to stop any of those drugs, though, without a good long tapering off period, and even then it would take time to establish a baseline. I’d ask Dr. A. how he handles that — if you haven’t already talked to him about it. Perhaps the differential between non-aggression and aggression pressure & rate can offer some insight. I would only add a word of caution about the Tenex. My understanding is that is an ADHD drug. I am not sure if it happens to be a stimulant or not but I found with my own severely aggressive kiddo that stimulant ADHD meds made him so much worse around the time that he was due for his next dose. It was like he was a junkie looking for a fix and wigging out on me. When we finally took him off the stimulant meds things did calm down SOME. That being said I’ve got some really large lovely bruises right now from a takedown in a shoe store the other day. The only thing we know that could have triggered him was my mom took off her shoe to try on a boot. But he was also struggling that day anyway and my mom and I opted to leave his service dog at home. Our mistake. I’m very interested in this book you found although we can’t adrenaline block because my son has dysautonomia (caused by a brain injury at birth that also caused CP, epilepsy and many other problems) and he really struggles keeping his blood pressure and heart rate up. When sleeping he even has to have a heart rate monitor as he drops into the low 30s. Ugh. Poor kids. If it isn’t one thing it’s another for them. Please keep us inform, going to Dr next week for our son appointment going to talk to her about this. I felt like you where telling my story. Going to see about seeing this doctor if I do not get any good advice next week, live in WV. Thank you so much sitting here crying been rough two weeks at our house. I can so relate to your story. It all sounds so familiar. My son is 20 and his aggression sounds much like your son. I too believe there is a spike in something within his body whether it be hormones or adrenalin. It is an emotional roller coaster. I feel absolutely impotent after reading all the insightful comments from women who are walking the same troubled-mother road that you are. I have no experience to share, no pharmaceuticals to recommend. All I can send you is my love and my hope that all your diligent research points you in the direction of a solution for Jonah. This Ohio doctor sounds like a great possibility. Have you looked into magnesium and B6 I read great studies using high doses of those. I found this blog and I cried. My son, like yours flies into unprovoked rages that are usually directed at me, but also his dad and his school teachers. He is 11, and so strong, I worry what the future holds for him as he gets bigger & harder to manage. We live in Australia so there are no options for out of home care, we just struggle on. Our paediatrician is out of ideas, and so after a 5 month wait, next week we are off to see a psychiatrist that deals only with children with disability. I’ve also read Dr Ankermans book & will be discussing adrenaline therapies. I just wanted to say “thanks” for putting your story out there. Sometimes this feels like a very lonely road!! Pathological Demand Avoidance has been recognised in the UK since the 1980s. Unfortunately it’s not officially recognised but there are a number of specialists who will diagnose privately in the UK. The website gives masses of information as to support, teaching methods , strategies , different to a normal Autistic child. There are links to an American Group trying to promote awareness . So sad to read all your posts. I am a grandmother who constantly cops it frommy grandson he is only 6 and at times he literally hunts me. They live with us so we can offer support but it isn’t working with the generational issues not to mention our grandsons behavior. He has been diagnosed with asd although he suffered a brain bleed at birth and needed surgery so all are confused as to is this autism/adhd/odd/anxiety or brain trauma or all of the abovd. The tensions and huge and the doctors do not wish to medicate him until he is at least 8. Meanwhile I am scared and my household is incredibly disfunctional.